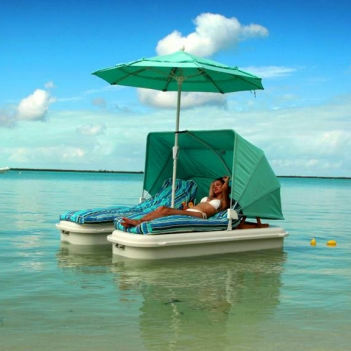 The Seduction Float Line™ is a new, one-of-a-kind, patent pending product which is a in an unchallenged market. 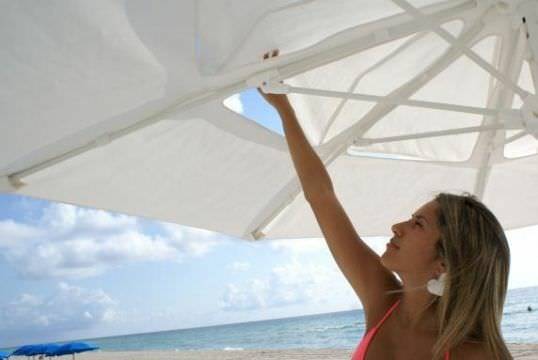 It is especially designed for resort comfort, supplemental resort revenue including increasing F+B proceeds. The SeaDuction Floats™ currently garner over $100.00+ per day without guest retention. 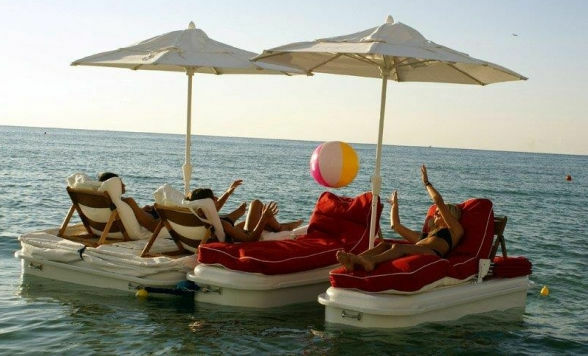 These attractive Floating Cabanas were brought to market out of a desire to "upgrade" amenities for guests while creating an avenue for increasing revenues for resort properties. 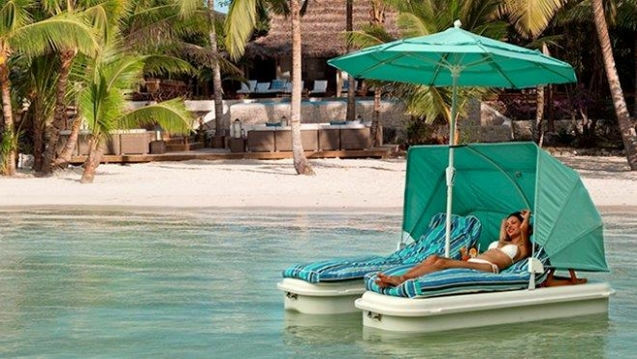 There has never been anything produced in the resort industry that completely captivates guests with such awe and amazement while immersing them in luxurious comfort and generating incredible revenues to resorts bottom line. The SeaDuction Floats™ use a vacuum forming process with outer shells made from ABS Hair Cell Plastic material with a white Korad 100% Acrylic Multi-polymer for UV protection .SeaDuction Floats are built for to last in a harsh marine environment. The Marine Aquaplaus Closed Cell Foam PVC Bulkheads provide 16 chambers with sealed foam blocks for added floatation. You can basically slice the SeaDuction Float™ up in multiple parts and it will not sink ! Fasteners are stainless steel and aluminum. The Inversion Tri hull Water Flow design prevents fish tale swaying when anchored and tilt due to uneven weight distribution.